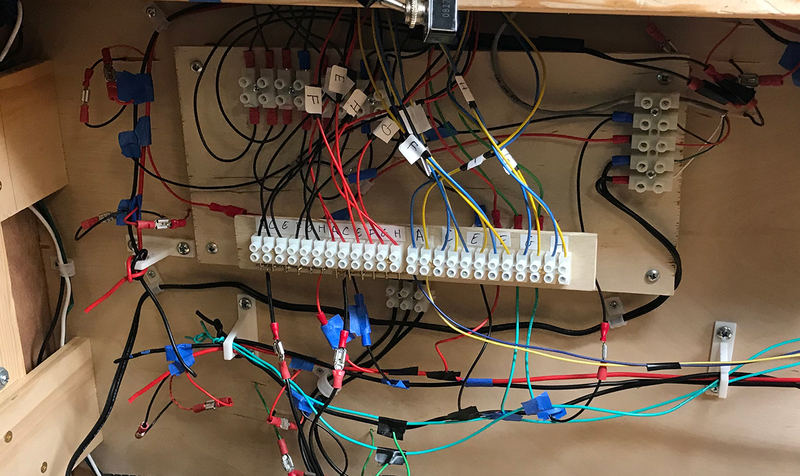 If you’ve never used a Tortoise machine or powered up a handlaid turnout it can seem quite a hill to climb to figure out the wiring. 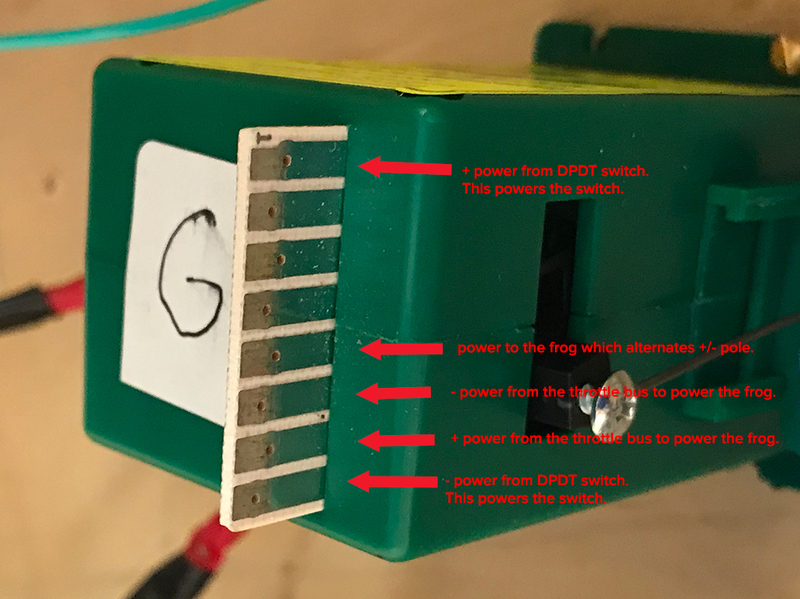 Not only are you powering the motor to switch the turnout but you are also sending power to the frog of the turnout which has to switch poles depending on the direction the points have been set to. It’s been a couple of years since I last did this task so I went online to double check the power inputs. A 12v DC system for the turnout motors and miniature lighting around the model. One this new power source was installed I tackled each stage one at time and just mass produced each set of components. This is very fiddly work but with the assistance of my ‘third hand’ I was able to cut, chop and solder to create the components very quickly. Having all the pieces constructed before I started fitting the motors saved an immense amount of time and energy. I built a second staging platform that sat on the first one. This allowed me to keep the turnout wires separate from the power wires. Not the best solution but I do have access to all the wires (kind of). If I ever rebuild the layout in the years to come I may reorganize this staging platform. 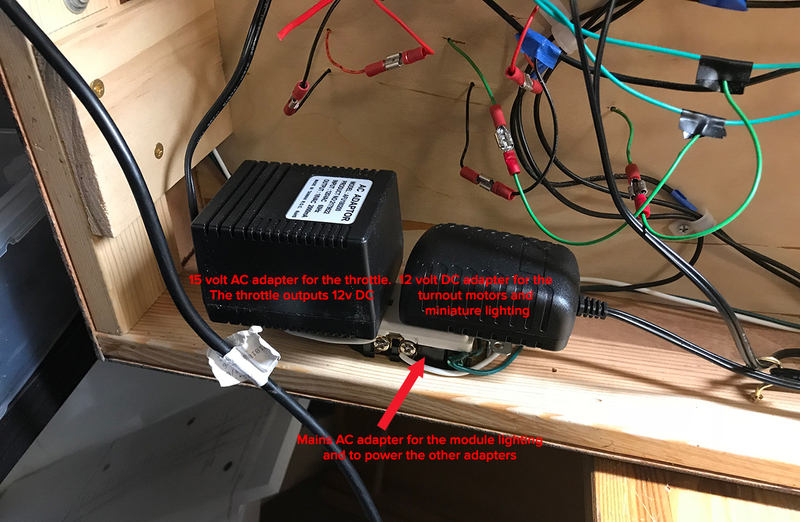 The wires connect to the 12v DC adapter and then send power to the DPTD switches that power the switch machines. Each motor requires five inputs as indicated and is fed from two separate DC systems. I used a special adapter to fit the wires to the motor. 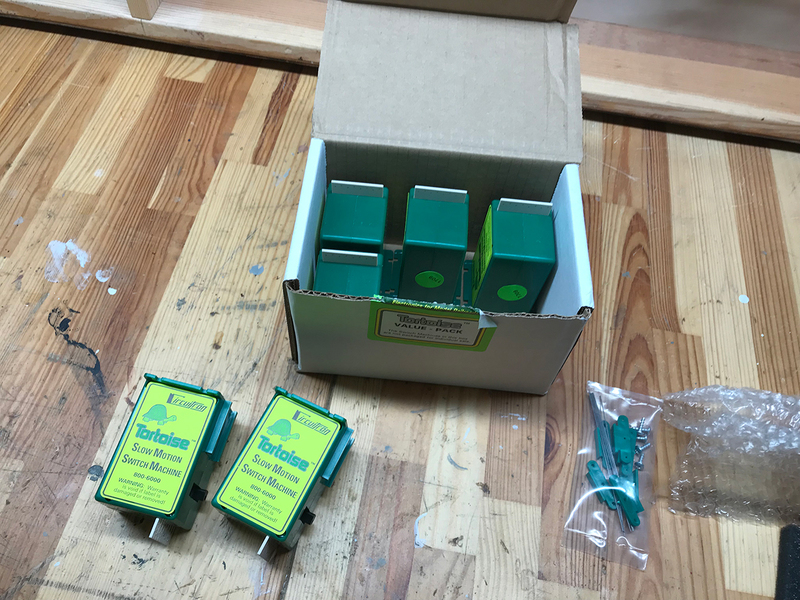 This adapter then connects to a block and the various input and outputs required to make it work: frog, bus, and DPDT switch. anyhow each switch took about 30 mins to fit and 30 mins to power – so 1 hour per machine. I did the work over two weekends. It was tiring and stressful and not much fun. Nevertheless after fixing a few minor shorts and other small gotchas the whole system worked really well. My little locomotive was able to navigate the whole layout with ease. I ended up with quite a tangle of wires. Nevertheless the underlying system is quite easy to understand and I labeled as much as possible. 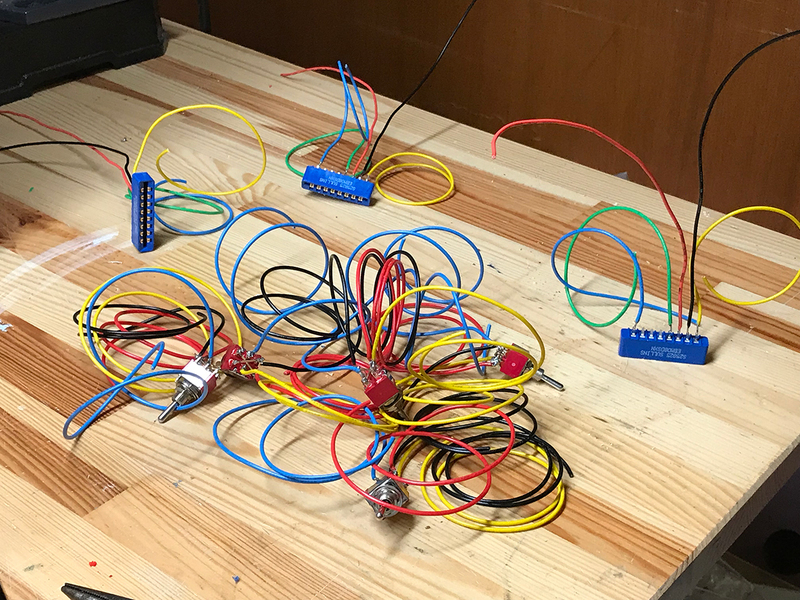 Shorts are easy to trace because I can isolate sections quite easily – all the wires have removable connectors. I don’t know if there is an easier way to do it but anyhow it all seems to work really well. Only time will tell how robust the whole system is. Anyhow I am really glad this stage is over but I’m not quite ready to start modeling. I still have to build the exit points for the track to connect with the cassettes and also finish off the control panel (it needs a new diagram and repositioning of the brackets). I’ll get to those in the next week or so and then I’ll be ready to start with the structures.